Saturday’s matchup between the Boston Pride and the Minnesota Whitecaps is a big one. It’s the Pride’s first home game since announcing their partnership with NHL’s Boston Bruins. And beyond that, the winner will take over sole possession of first place in the standings as heading into the back half of the season. The Pride and Whitecaps come into the contest -- a 7:30 PM ET tilt at Warrior Ice Arena -- with matching 7-3 records, with Boston currently sitting in first based on head-to-head competition. As a celebration of the Pride’s partnership with the Bruins, the first 500 fans will receive knit hats co-branded with the Bruins and Pride logos. The Bruins mascot, Blades, will also be in attendance. Tickets for Saturday’s battle are available at NWHL.zone/tickets. The Pride were the first team to beat Minnesota since the Whitecaps joined the NWHL. And Boston did so in decisive fashion, taking 5-1 and 7-2 wins in Minnesota on Dec. 1 and 2. 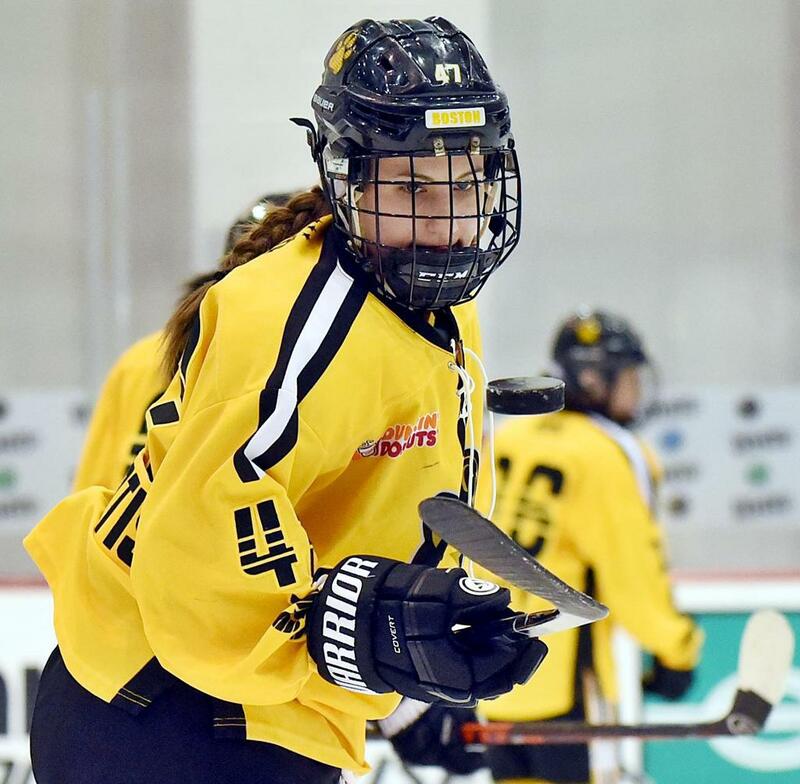 Pride defender Mallory Souliotis, in her first full season in the NWHL, had a notable weekend in Minnesota, scoring in each of Boston’s wins, including her first career goal. The Pride recognize the implications of Saturday’s game, and the fact that the Whitecaps will be coming into Warrior Arena seeking vengeance. After an impressive career at Yale, Souliotis joined the Pride for a pair of game last season before signing in Boston this offseason. In addition to being part of one of the league’s toughest defensive corps, she has three goals and an assist on the season. She posted all four points in a three-game span, finishing with a goal and an assist against the Metropolitan Riveters on Dec. 9. The only team that’s allowed fewer goals than the Pride? The Buffalo Beauts, who served Boston a 5-0 defeat last weekend at HarborCenter.